The United Horse Coalition (formerly known as The Unwanted Horse Coalition) is a broad alliance of equine organizations that have joined together under the American Horse Council to educate the horse industry about the problem of the unwanted horse. 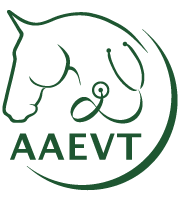 The American Horse Council’s Unwanted Horse Coalition (UHC), formed in 2006 to bring attention to the issue and challenges of unwanted horses, will be renamed and rebranded as the United Horse Coalition. The UHC will refocus its services by redesigning its website as a single source to help horse owners learn about resources and options available to place horses in need of new homes. The website also will provide information to potential adoptees including how to adopt, best practices when adopting, places horse are available for adoption, and owning responsibly.